Previous Rhinebeck 2012: The Results Next What kind of African are you? Beautiful!!! I love it! I hope you find the additional skein you need; it would be a shame not to finish it. Third time’s really a charm!!!! Thanks. I did find a couple possible sources, Based on what I’ve been able to do with one skein, I’m estimating I only need one more, but I’m hoping not more than that. Could you tell me where you found the corrected cable chart for the EVERY WAY WRAP. I have been searching the internet. I found sites saying there is an error , but the links to interweave does not show a corrected chart. I am bummed that I purchased this pattern only to find that the chart is incorrect. Thank you! I emailed interweave and never heard back from them. Thank you for your quick response. None of the links I found took me to this site. I am attempting to make the “every way wrap”. 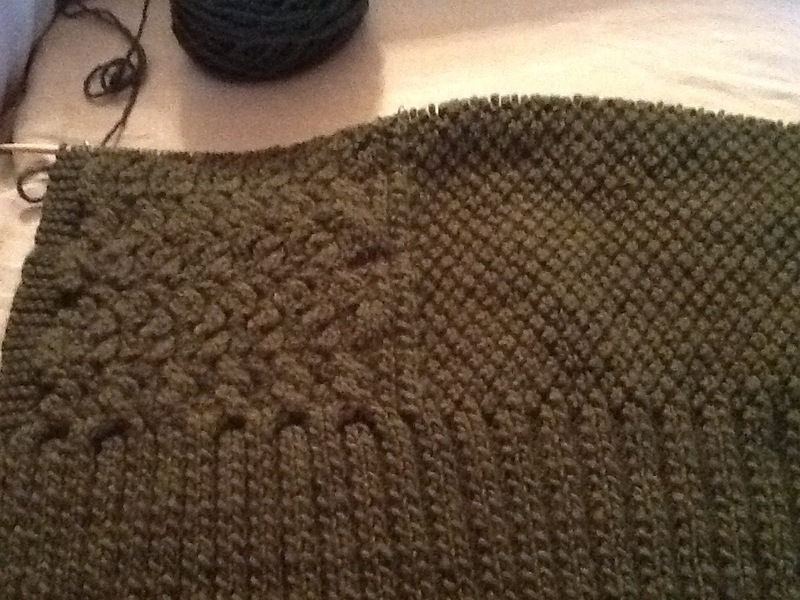 I just completed the first row of the cable panel chart and the moss stitch for that row. Now I’m confused. The next row says to “keep 1 stitch inside garter edging at end of RS rows and beginning of WS in rev St.” I don’t know exactly what that means and I have no idea how to do this. Also I’m not sure what I’m doing with the first 5 stitches in this row. I know how to do basic knitting but with patterns the lingo confuses me. Can anybody help me before I give up? Haven’t looked at the pattern in a while, but I’ll see if I can explain it. It’s a little difficult to do without a visual. If you have a picture of the knitted item from the pattern, you’ll see each edge of the shawl has 4 stitches of garter stitching. The quote you’re referring to talks about 1 stitch that serves as edging to distinguish the garter stitch border & the start of the moss pattern. It’s not as difficult as it sounds. Basically that one stitch is a stockinette stitch. If I’m describing it correctly, on RS rows that stitch is knitted and on WS rows it’s purled. It absolutely does help. That’s so simple. Thank you so much!